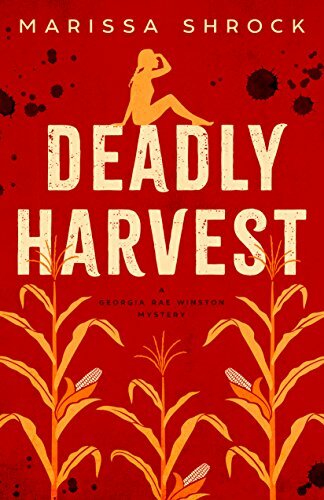 Farmer extraordinaire, Georgia Rae Winston, spends most of her time in her combine, but when she discovers a body on the edge of her field, she wonders if the woman’s death was foul play and not the accident authorities are claiming. Especially after receiving a mysterious letter from the deceased. Her skills as a farmer soon turn into playing detective as she finds herself as an amateur sleuth, piecing together the mystery. Georgia’s life is turned upside down with this puzzle, but it becomes even more complicated when she has to decide between feelings for a longtime friend or the new sheriff in town. Can she overcome this obstacle while trying to stay alive with threats on her life? Deadly Harvest is a delight! I loved reading this cozy mystery. It kept me glued to the pages to unravel the mystery along with Georgia, trying to piece together all the clues. The plot was well written and engaging. It kept me guessing to the very end. The characters came to life on the page. I loved Georgia’s friends. Kind of reminded me of Nancy Drew’s best friends George and Bess. They were always there for Georgia at her beckon call, keeping her on her toes. The imagery used throughout was effective. I could see myself in the combine with Georgia in the fields and in different areas of the town while she played detective. I can’t wait to find out how Georgia’s love life will turn out. Maybe we’ll find out more in the next instalment of the Georgia Rae Winston Mystery Series. I will be waiting! I give Deadly Harvest four combines. This excellent mystery will keep you ploughing through the clues to find out who did it! **An e-copy of this book has been provided by the author in exchange for my honest review.